The Dunlop Rage Match two player table tennis bat set offers a great way to get playing table tennis, containing two Dunlop bats and 3 Dunlop training balls. 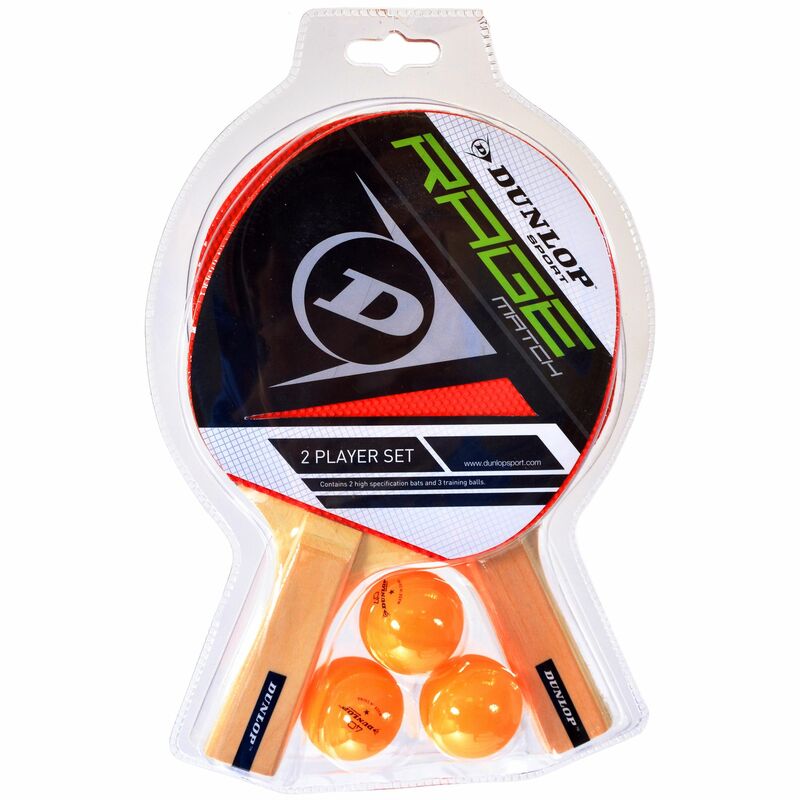 Whether for use by friends and family at home or for practising your game, the Rage Match set contains all you need to get playing on a table tennis table. for submitting product information about Dunlop Rage Match Two Player Table Tennis Bat Set We aim to answer all questions within 2-3 days. for submitting product information about Dunlop Rage Match Two Player Table Tennis Bat Set. We aim to answer all questions within 2-3 days. If you provided your name and email address, we will email you as soon as the answer is published. for submitting product review about Dunlop Rage Match Two Player Table Tennis Bat Set.